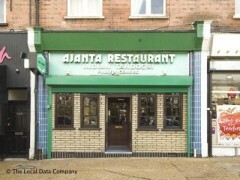 About: Ajanta is an authentic Indian restaurant where you can enjoy a good curry, biryani or tandoori. I have eaten at the Adjanta on a reasonably regular basis for the last 15 years and have watched it's ups and downs. At the moment (last 6 months) it is certainly on an up. The food is good and plentiful and the delivery option is always fast and hot.